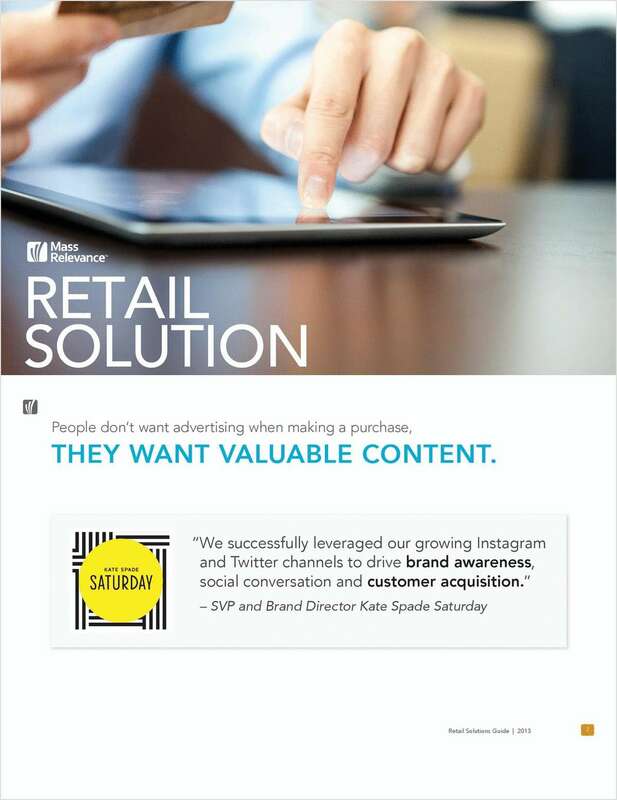 "Social Retail Solution Guide: Use Social Media Content To Drive Commerce"
Free Guide: "Social Retail Solution Guide: Use Social Media Content To Drive Commerce"
People don't want advertising when making a purchase - they want valuable content. Turn social media into real-time consumer experiences that attract more people to your brand, link directly to product pages, and convert shoppers to buyers. By submitting this content request, I have legitimate interest in the content and agree that Mass Relevance, their partners, and the creators of any other content I have selected may contact me regarding news, products, and services that may be of interest to me.